The all-weather Astro-turf pitch is an excellent facility for 5-a-side football, football training or other sporting activities. Full floodlighting is available as required within the cost of the hire. 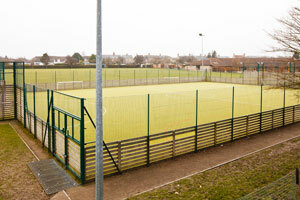 The Astro-turf can be hired for an hourly rate of £32.00.